On Sunday, the DNA testing company 23andMe revealed a new genetic analysis that it says will tell its customers if they have an elevated risk of developing the most common, and preventable, form of diabetes. 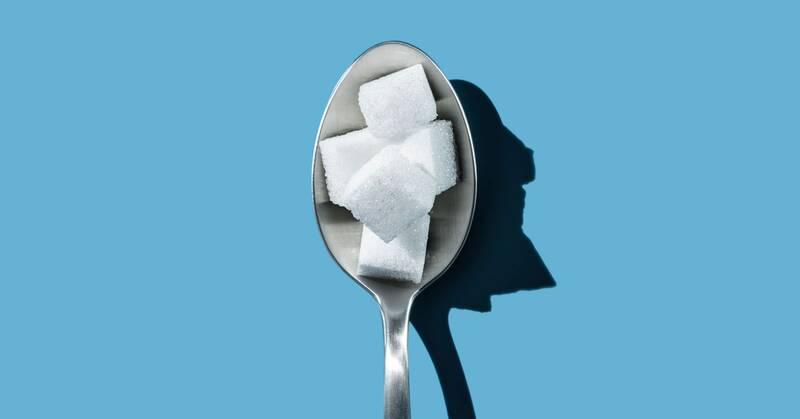 The report—which has not been cleared by the FDA and is not intended to diagnose type 2 diabetes—arrives as the disease is becoming an intractable public health crisis in the US. One in four healthcare dollars goes to treating diabetes and its related complications. The situation is especially dire for African Americans and Native American populations, where obesity is rampant and one out of every seven or eight people has the disease. Which is why it’s a little disappointing that 23andMe’s test is tuned to be most useful for skinny white people. Unlike 23andMe’s other health reports, which inspect one or two genes for mutations with big, well-understood effects, its new diabetes test uses something called a polygenic risk score. It’s calculated by summing together each of the small risk contributions made at thousands of locations across a person’s genome. Alone, each one might increase your chances of getting a disease about as much as walking through a body scanner at the airport—but taken together, or in certain combinations, the risk can start to add up. The algorithms that calculate polygenic risk scores aren’t new—they were largely pioneered in the mid-2000s. What’s new is the ability to derive them using huge genetic databases like 23andMe’s. Those databases, however, are overwhelmingly white. Because polygenic scores perform best for people with the same ethnic background as the DNA data used to train the algorithms, 23andMe’s new diabetes test isn’t as accurate for folks of non-European ancestry. It performs especially poorly for black Americans—barely better than a coin flip. It’s a problem the company’s own vice president of research (a Chinese woman married to a Mexican man) recently wrote about, in a column for Stat. Through research collaborations with academics, the company is trying to fill out those sparse parts of its database, but the process is slow. On its new diabetes test, the company used a machine learning trick called Platt scaling to recalibrate the polygenic score it had created in a European cohort for its other ancestry groups. “It’s a common shortcut, but it smashes down the level of risk you can convey to people,” says Ali Torkamani, a geneticist at the Scripps Research Translational Institute who studies polygenic risk scores and health outcomes. For the Hispanic, east and south Asian groups, he says it shouldn’t make too much of a difference. “For users of African American descent that score is not at all relevant.” Would such a shortcut be safe for a clinical test—one that people use to make decisions about their health? “No, not for an African American individual,” says Torkamani. Because of these limitations, many of the polygenic risk tests already on the market are race-restricted. A test for Alzheimer’s developed by scientists at UC San Diego, for example, carries language advising you to only use it if you’re of European ancestry. In 2017, Salt Lake City-based Myriad Genetics added a polygenic “riskScore” to its physician-ordered breast cancer test, which more than 200,000 women have since taken, all of them of European ancestry. Jerry Lanchbury, Myriad’s chief medical officer, says that adding the polygenic risk score sharpens the test’s performance for high-risk women. “If you’re in that high-risk category you may qualify for enhanced screenings or even surgical preventative offerings, so it’s a big deal,” says Lanchbury. To make it available to women of other ethnicities, the company has recruited 14,000 women of Hispanic descent and shown it can generate a risk score for that group, which it hopes to offer later this year. Recruiting is underway for an African American cohort as well. The Bay Area’s Color Genomics also recently announced a plan to enroll 100,000 volunteers from historically underrepresented groups to better assess the risk of heart attack. If 23andMe’s customer base reflected the US population, two-thirds of them would be overweight or obese and already at an increased risk for diabetes. It should come as no surprise to them that they need to avoid sugary, processed foods and get regular exercise. That’s why Torkamani says the new genetic test will be most useful for the small subset of people who don’t have any clinical risk factors—they look lean and healthy, they exercise, they’re under the age of 45. “If they don’t know anything about how their blood glucose levels are responding to food, they may have no idea of an underlying issue that could devolve into type 2 diabetes later on,” says Torkamani. The trouble is, if you already have a healthy lifestyle, there’s not much you can do with that information. It’s not like heart disease, where you can start taking cholesterol-lowering drugs. Torkamani says one thing would be to start getting regular blood tests. Among other things, 23andMe suggests you sign up for a digital coaching program through the company’s newest partner, Lark. In January, 23andMe customers got the option to integrate their genetic information with Lark’s AI-powered chatbots for an additional fee. One of those bots delivers a CDC-recognized diabetes prevention program, which some insurance companies cover. The resurgence of polygenic risk scores has reignited old party lines in the research community and drawn some new ones. Depending on one’s side, polygenic risk scores are either going to revolutionize complex disease prevention by creating more precise pools of risk (the Torkamani camp), or they’re mostly rubbish (Janssen). The scientific validity of polygenic risk scores is still up for debate, but with 23andMe bringing it back to the mainstream, the discussion is becoming more urgent. Because if there’s one thing researchers know, it’s that no amount of tiny type at the bottom of the page will dissuade people from making decisions on risk scores in their grasp, however uncertain they might be.